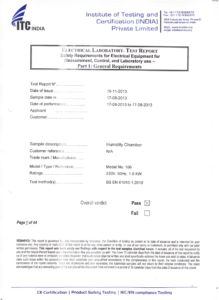 The applicable standard for getting CE Certificate for Humidity Oven is BS EN 61010-1:2010. Plus more specific tests as mentioned in the standard. 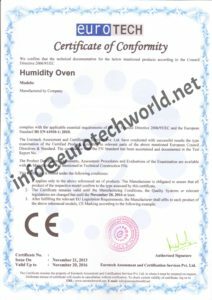 After successful testing and compilation of test report, CE Certificate for Humidity Oven is issued. This entry was posted in CE for Machinery. Bookmark the permalink.